I’ve been toying with a way of representing light pollution after conversations with the South Devon AONB. Light pollution is a growing issue, with our increasingly glowing towns that leave nowhere for natural darkness. 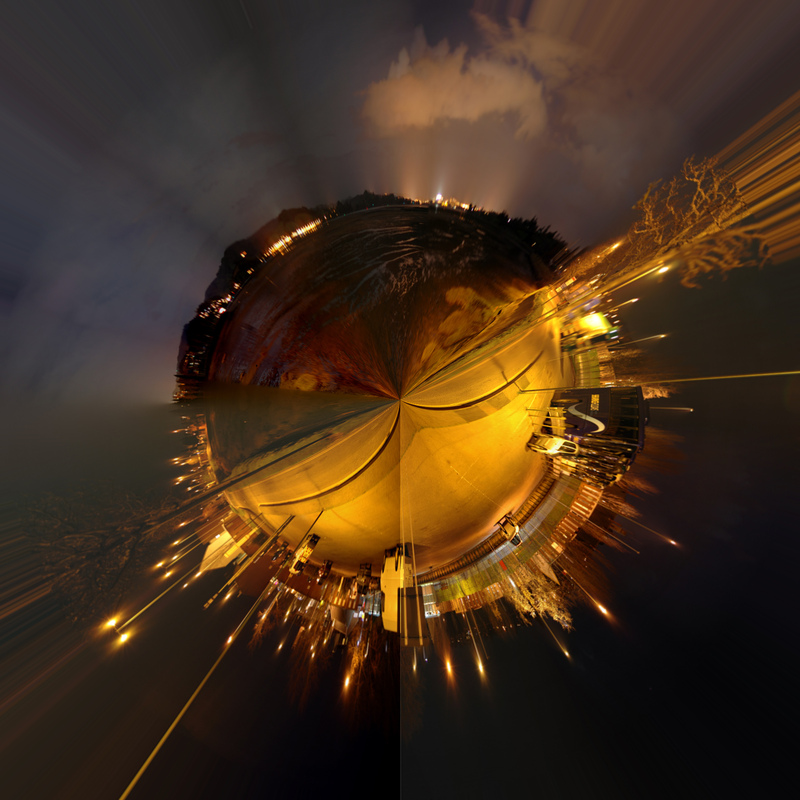 I did this simple experiment ahead of some future shoots, it shows the orange glows above nearby Exeter and other smaller towns, but presented as a sphere that better invokes the night sky and what is lost, and presents it in a way that I hope to be engaging. Pleased with the first experiment, lots of potential.